While the VI Nations is at rest for the week-end, the rugby fans could enjoy good quality rugby in the French league. The talking point during the week was whether or not, national coach Saint-André’s call to the clubs to allow those players involved in the VI Nations to rest was to be followed. Needless to say, with so much at stake in the coming weeks, many clubs decided not to heed the French coach’s call. After having lost on their own ground Toulouse managed to “at last” secure an away win in Biarritz, 16-6. Montpellier has again impressed with a comfortable win against l’USAP with 50-19. The Racing Metro secured a logical victory, after having been 20 minutes in numerical superiority against l’Aviron (Bayonne). This now seems mission impossible for the two clubs of the Basque region to hope to remain next year in the Top 14. However, it was an excellent performance from Brive against Stade Français, with 28-12 and the offensive bonus point. 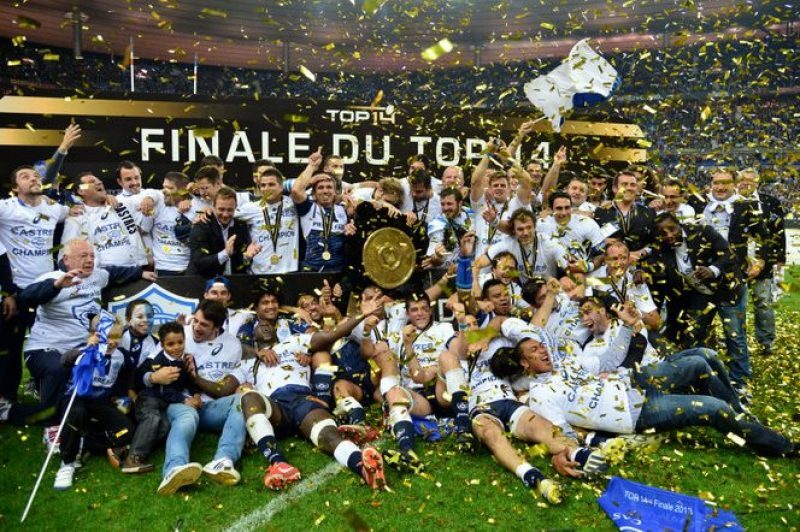 Brive can now remain hopeful to be maintained in the Top 14. It was, however, disappointing for Stade Français, who missed the opportunity to take the lead of the Top 14 from Clermont Auvergne. One try for each team, but Jonny Wilkinson’s contribution with 14 points, as usual some might say, allowed them to scrape a 19-13 victory against the title holder, the RCT (Castres). This was a welcome victory for Toulon, after the 13 weeks ban for their trainer, Bernard Laporte, for his dismissive words against the referee, Laurent Cardona, after the defeat of Toulon against Grenoble, in January 4th, 21-22. Clermont is still in the lead with 55 points, closely followed by Montpellier and the 6th and 7th in 49 points, Grenoble and Toulouse. The coming games are going to remain critical and some clubs will certainly miss their international players while the VI Nations resumes next week-end for three week-ends in a row. Nicely done …I like it.